A man has been arrested following a report of an attempted robbery at a betting shop in Ramsgate. 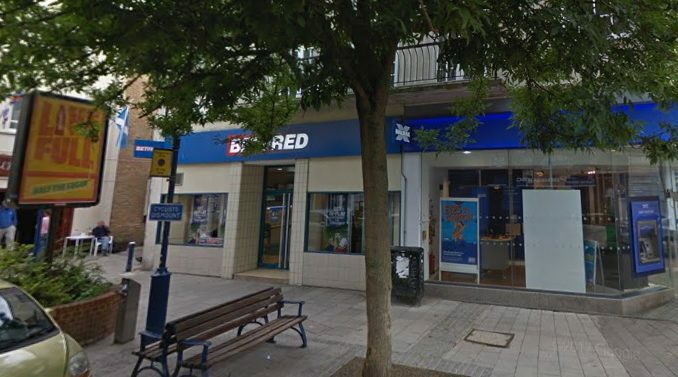 The incident took place at the Betfred shop in Harbour Street between 5pm and 5.15pm yesterday (August 13) when a man became verbally abusive to staff and lent over the counter to try to take money from the till. A 52-year-old Ramsgate man was arrested on suspicion of attempted robbery and is currently in police custody. Anyone with information about the incident is asked to phone Kent Police on 01843 222289 quoting reference ZY/47283/18.